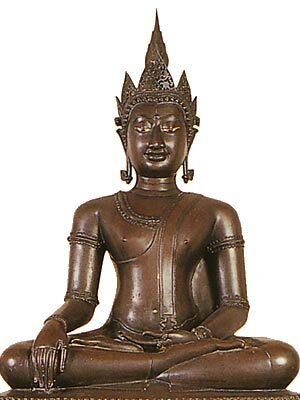 The Chiang Saen or Lanna style (between 11th and 18th centuries A.D.) was influenced by the styles of the Khmer, Sukhothai, India, Burma and Sri Lanka. 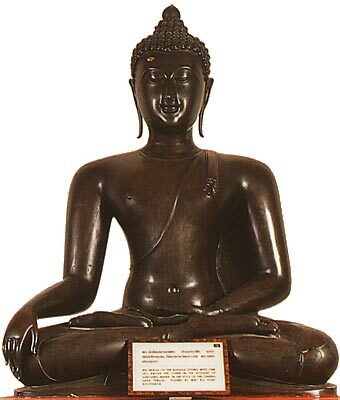 Buddha images typically feature a lotus bud or orb shaped finial and large hair curls. The torso is plump, with a slim waist line. The face is round and smiling, with high curving highbrows, a hooked nose and mostly narrow lips. 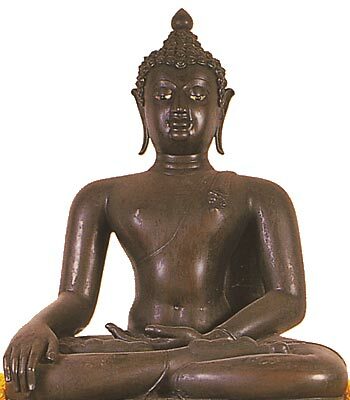 In later period, under influence of Sukhothai, the head had finer hair curls, an extended lotus shaped or flame shaped finial, and a thin hair band. 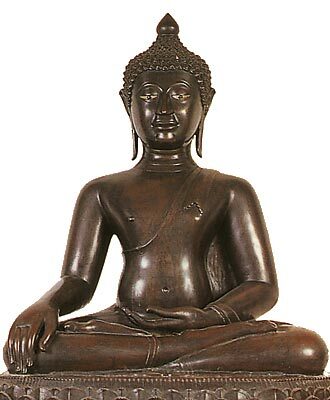 As with Sukhothai Buddha images, the face became more oval. The mantle often extended down to the navel. 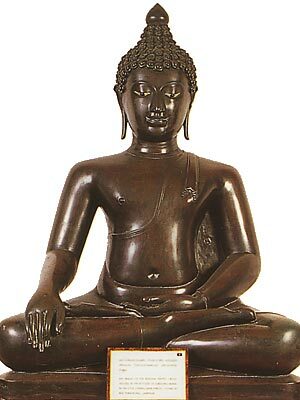 Sitting Buddhas mostly display the gesture of Subduing Mara. 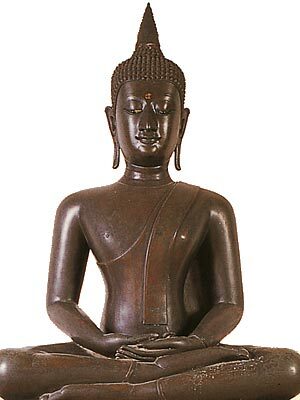 Standing Buddhas often display the gesture of Dispelling Fear or Instruction. Displaying the gesture of Subduing Mara. 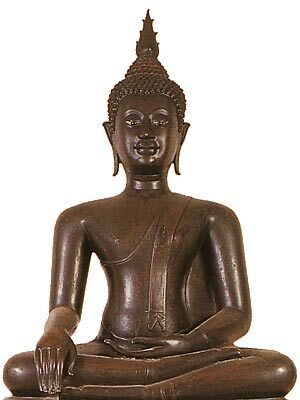 In the style of the Chiang Saen period, found at Chiang Saen, Chiang Rai province. 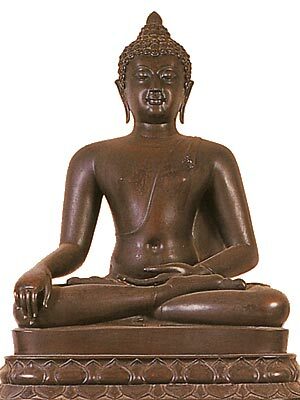 Buddha with the gesture of Subduing Mara. 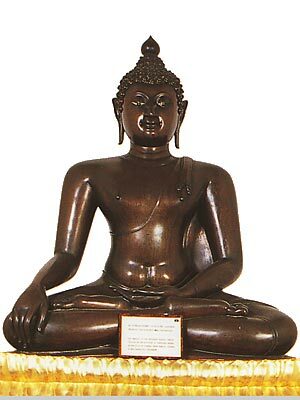 In the style of the Chiang Saen period. Found at Wat Bang Phlu, Thonburi. 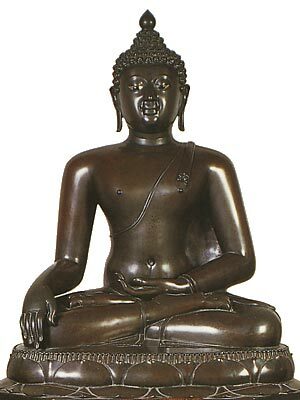 Buddha sitting with the gesture of Subduing Mara. Found at Wat Siri Panya. 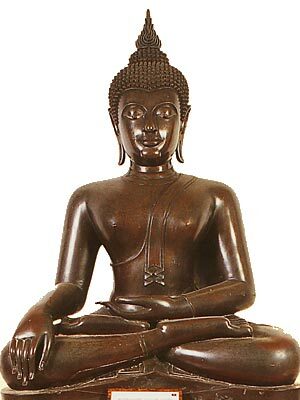 Sitting Buddha, with the gesture of Subduing Mara (Calling the Earth to Witness). Found at Wat Phra Kong, Lamphun province. Found at Wat Ko Koet, Ayutthaya province. Found at Wat Luang, Phayao province. Found in Chiang Mai province. Found at Wat Phra Bat Tak Pha, Lamphun province. Found at Wat Sawang Arom, Muang Thung Yang, Uttaradit province. Found at Wat Arun, Thonburi. 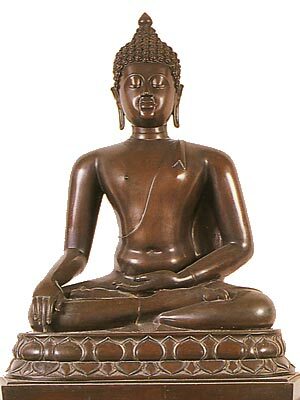 Sitting Buddha image, with the gesture of Meditation. Found at Chiang Saen, Chiang Rai province. Wearing the attributes of Royalty. 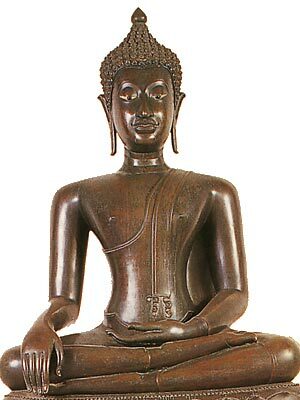 In the style of the late Chiang Saen period. Found at Wat Mahathat Haripunchai, Lamphun province.